Today’s post is a synthesization of a podcast and a blog post that I recently read, with some of my own thoughts mixed in. I listened to The Danger of Teacher Nostalgia by Cult of Pedagogy, and read How to Win Friends and Influence Students by A.J. Juliani, which is a play on Dale Carnegie’s infamous How to Win Friends and Influence People. I was left thinking about my teaching practice, and the intentional (or unintentional) thinking behind it, that may be having enormous impact on the students I serve each day. In her podcast, Jennifer Gonzalez talks about the danger of romanticizing past students, classes, or our own academic history. When we do this, we can sometimes fall into the “kids these days” trap, where everything is wrong and nothing is right with our current classroom. The hidden danger in thinking this way is in confirmation bias, and something called the self-fulfilling prophecy. When we see students as being lazy, incompetent, or in any other negative light, it becomes all we can see about those students. This is the confirmation bias. We begin to point out to ourselves or others that the student not turning their homework in on time is evidence that we were right about them being lazy, etc. As we begin to confirm our negative suspicions, we begin to expect more negative behavior in the future, feeding this mounding pile of “evidence” to support our unfavorable bias. When our view becomes more solidified, we begin to speak differently to them, and can express disapproval (even unintentionally) with our body language. Students pick up on the words we use and the way we act around them. The thoughts we have about our students can manifest themselves in physical ways. The idea that our thoughts and words have power is found in what is often referred to as the self-fulfilling prophecy. We believe something to be true about ourselves and our beliefs affect our actions, which fulfills the prophecy (the thinking in our mind). When students pick up on the low expectations and negative attitude we have toward them, they begin to meet our expectations as they begin to believe negatively about themselves. The cycle repeats itself. A.J. Juliani referenced a study done in a middle school where teachers provided written feedback to their students, measuring the effectiveness of their feedback on student achievement and performance. There was one phrase that showed amazing results. This study showed that one simple phrase could boost student effort by 40%. Breaking the Cycle of Mistrust: Wise Interventions to Provide Critical Feedback Across the Racial Divide (p. 809). That quote shows a teacher who believes in their students, who has high expectations, and the data shows that students rise to those high expectations. Students were able to see that the teacher believed in them, and the results were nothing short of miraculous. You can’t argue with the numbers here. 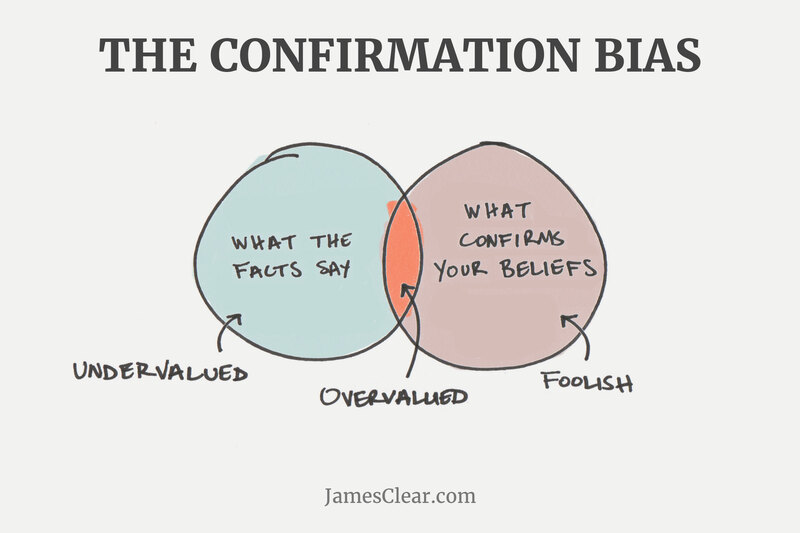 Here’s my take on this: what if we use confirmation bias and the self-fulfilling prophecy to our advantage? What if we believe in our students’ ability to meet the highest social and academic standards? I bet if we truly believe that, and if we communicate that in a genuine way, our students will pick up on it and rise to the occasion. As they meet our expectations, we will solidify our belief in their ability, and the cycle will continue. As we believe, so they will be. Believe the best about your students and encourage them to meet those expectations, then watch what happens.